Heating and cooling systems that do not require ductwork to transfer hot or cold air are called ductless or mini split systems. 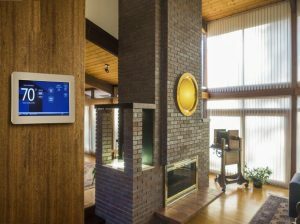 These systems are ideal for homes that do not have any existing ductwork and the homeowners do not want to invest any further in getting these ducts. Our tune up services for ductless systems will do away with any minor problems, giving you year-round comfort and energy efficiency. With the unit working properly, you will also have lower utility bills and more comfortable interiors. 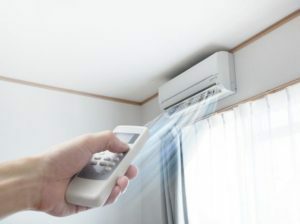 Call our technicians for any services required for ductless systems. Signs that your ductless mini split system is not working very well should not go unnoticed if you want to find suitable solutions. Small issues with the ductless mini split can turn into major ones if left ignored, thereby requiring costly repairs or even replacement. As an efficient HVAC contractor catering to all repair and service requirements, we can be relied upon for the best quality spares, equipment, techniques and products. We never compromise on the quality of our workmanship and we complete the work within the scheduled time and estimate provided. Whether it is a ductless mini split installation or tune up service requirements, we are proficient in all of our work. Our technicians are highly experienced, factory-trained and suitably knowledgeable about upgrades in ductless systems. You may also take reviews regarding our services and our pricing from our past clients. 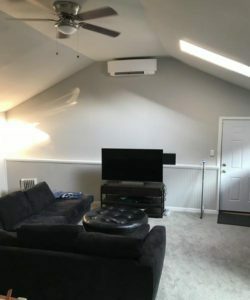 Reach Green City Heating & Air Conditioning at (206) 227-6616 for mini split installation and other services related to ductless systems in your home in Des Moines.